Arsenal are making one last attempt to keep Mesut Ozil at the club. The Germany midfielder is in the final year of his current contract, but the Gunners are trying to persuade him to sign a new onw. 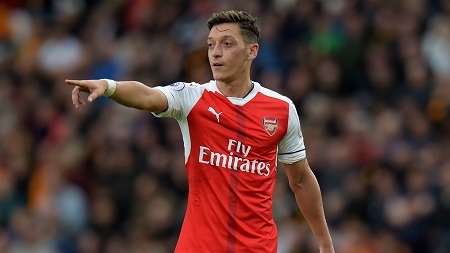 Ozil has impressed in recent weeks and Arsenal have already offered him a deal north of £235,000-per-week. The new offer will be closer to the £300,000-per-week Ozil is looking for, but it remains to be seen whether the 29-year-old will put pen to paper. If he does sign, it would make the former Real Madrid man the highest earner in the club’s history. Manchester United and Barcelona are both monitoring the player’s situation at the Emirates. Watching developments closely with a view to taking Ozil on a free transfer when his current deal expires.